Damage to your siding alone can cost thousands to fix. This is just one surface that is vulnerable to the effects of the weather and an inadequate paint job. 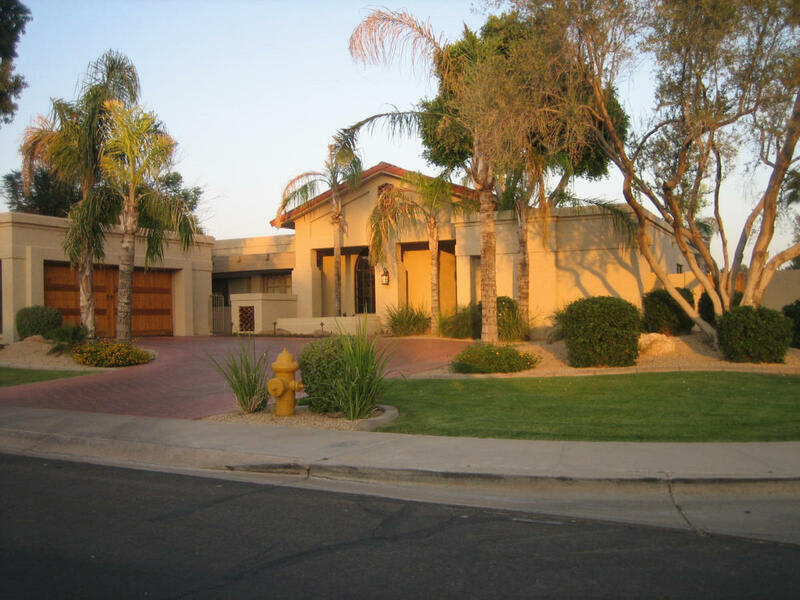 Often the difference between a good exterior paint job and a bad one comes down to saving some money on the materials or labor (if a pro is hired). Another thousand dollars spent now can save many thousands later. 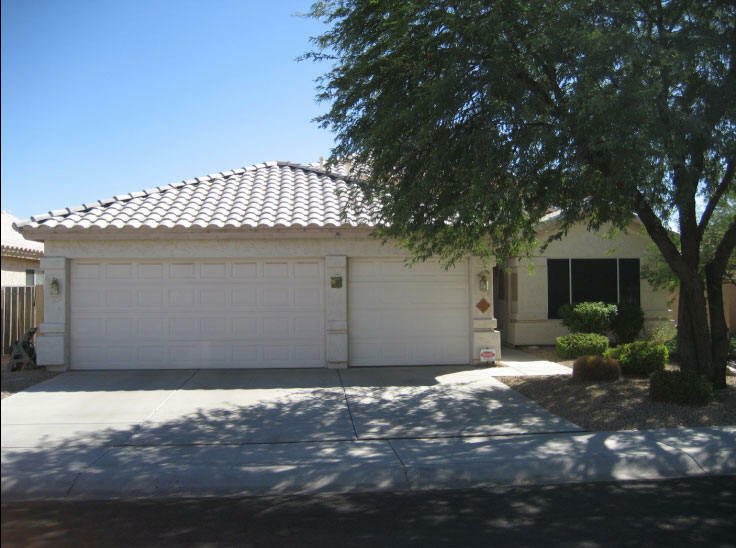 If you plan on doing the painting yourself be prepared, typically exterior painting will be the most difficult and physically demanding home maintenance project you will do. Exterior painting will involve considerable time and physical effort. Why not do it right and receive the best value for your money plus gain the most time before needing to re-paint. 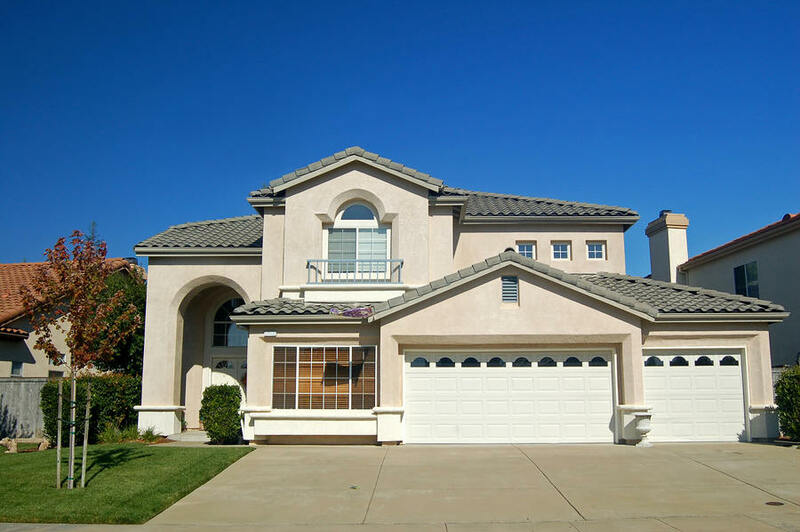 Next to using top quality paint, exterior paint preparation is the most important house painting technique. 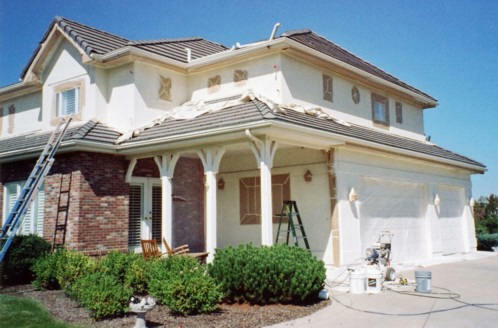 Inadequate or incomplete painting preparation is the major reason for failures of the finish. Often the exterior needs the most time and effort to prepare due to the many surfaces exposed to the harsh weather and intense sunlight. The preparation can amount to 70% or more of the time it takes to paint a house. 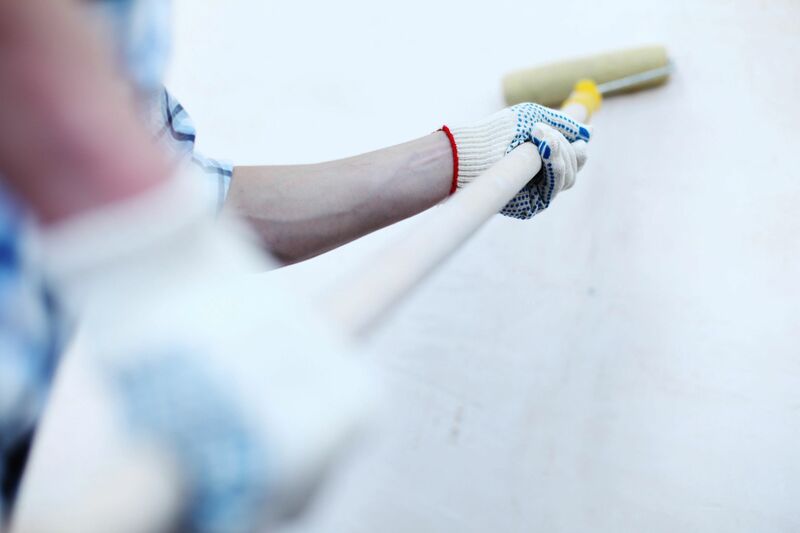 We will want to know the extent of the surface preparation needed to be done to your home. A thorough and complete examination of the entire home is in order. We take th time and pay special attention to the areas that need to be fixed. 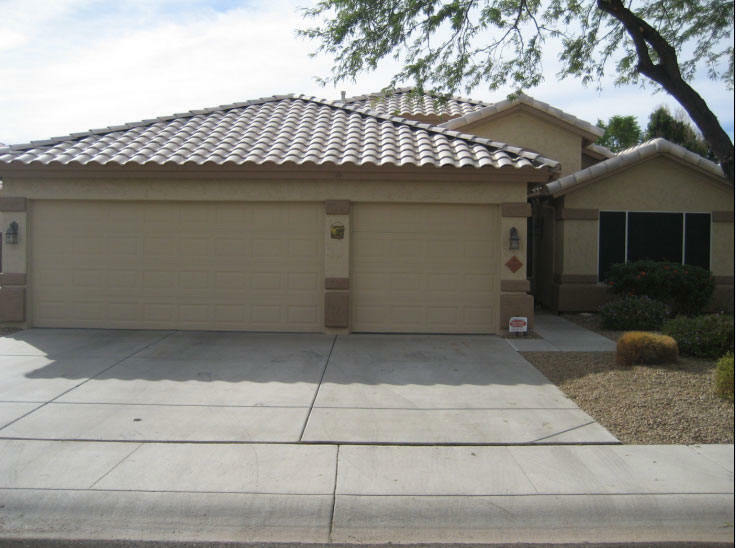 Typical areas of concern are fascia boards, wood trim and windows or doors. Severely split or rotten wood should be replaced. Light damage can be repaired with epoxy wood filler or for light rot you can use bonding glue. All our crew leaders have been painting for many years; most crew workers have been painting for at least two years. For an average single family home, our crew typically consists of the crew leader and one painter. For larger homes and commercial jobs we combine crews. A large part of having many satisfied clients is good communication which happens as a result of our being immediately available to answer your questions or address a specific concern. As the owner I keep my cell phone on from 6am to 9pm Monday through Saturday, and yes that's 15 hours a day, six days a week. If I don't answer I'm probably talking with a client or on the phone and will call right back. Clients are frequently surprised at how aggressive our pressure washing is. This is how it is supposed to be. Loose paint is supposed to come off before the painting starts, not after the job is finished. Most companies spray down to the dirt and then stop. When it rains, the soil moves and there is a line where the paint stops. We do the extra work and trench below grade to prevent this line. After painting we return the soil and rocks. Pressure washing causes some wood to soak up water. When the wood dries out a small amount of paint will curl up on the edges. After the wood is dry we carefully scrape loose paint. One more step for high quality. Stucco buildings will always get cracks over time, especially on the parapets and around the windows. We caulk these cracks as well. 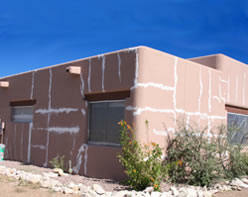 Its common for small spots of stucco to flake off. Corners have often been chipped by pets or kids with bicycles. We patch these spots for you. 6) Bag Ceiling Fans, Lights, Meter Faces etc.. If it shouldn't be painted it should be covered. We will cover your items with plastic, paper and tape as required to protect them. We trim bushes and trees as needed to provide a quality paint job. Our preference is to have a landscaper do this prior to painting so you get exactly the cut you desire. If its not a concern then we take care of this for you. Screens are removed and re-installed on older homes with metal frame windows so the window frame can be painted. On newer homes the screens can be left in and covered with plastic since the aluminum window frames don't get painted. 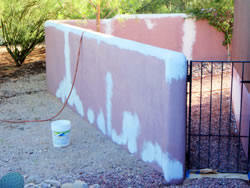 If sun block screens are present and sticking out, they will be removed prior to painting. Our painters' mantra: If it doesn't get painted it must be covered. 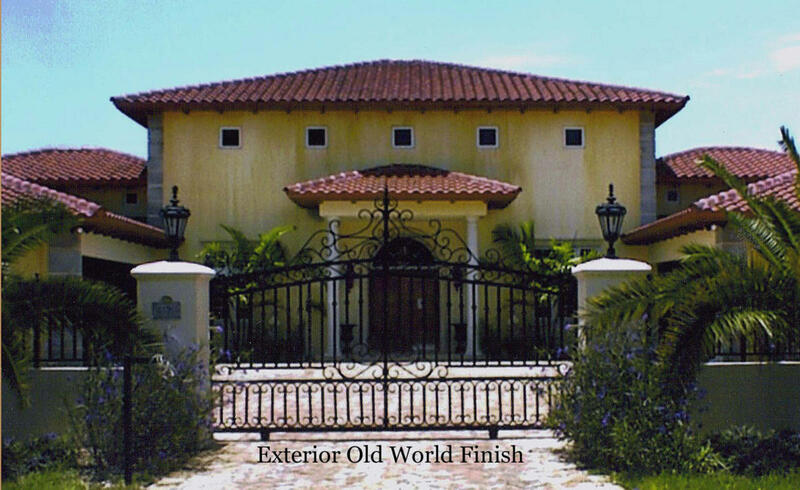 We apply primer or premium self priming paint to exposed wood or stucco to give you a superior paint job. We paint the body AND the fascia since a job is not complete until they are both taken care of. It's ironic that some contractors use cheap paint, because it is more difficult to use and much more abrasive to the spray equipment painters use. It's false economy for both the painter and the client to use cheap paint. Premium paint applies faster and it goes on thicker, so there is less touch up. We both win--you get a better job and we are not frustrated with dripping paint and worn out machines. 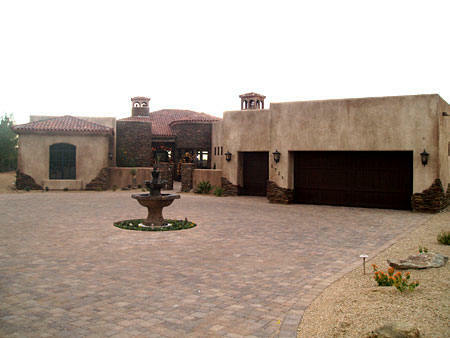 We do not consider your job finished until we have cleaned up perfectly and made you happy.